Thor: Every time I threw it, it would always come back to me. 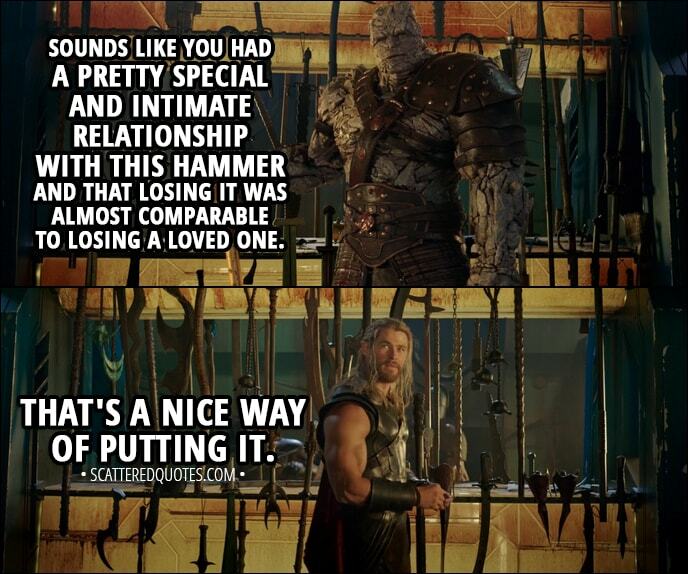 Korg: Sounds like you had a pretty special and intimate relationship with this hammer and that losing it was almost comparable to losing a loved one. Thor: That’s a nice way of putting it.